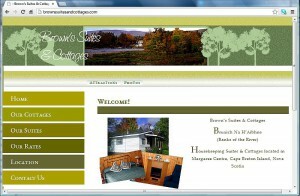 Here’s a look at some of our most recent projects! 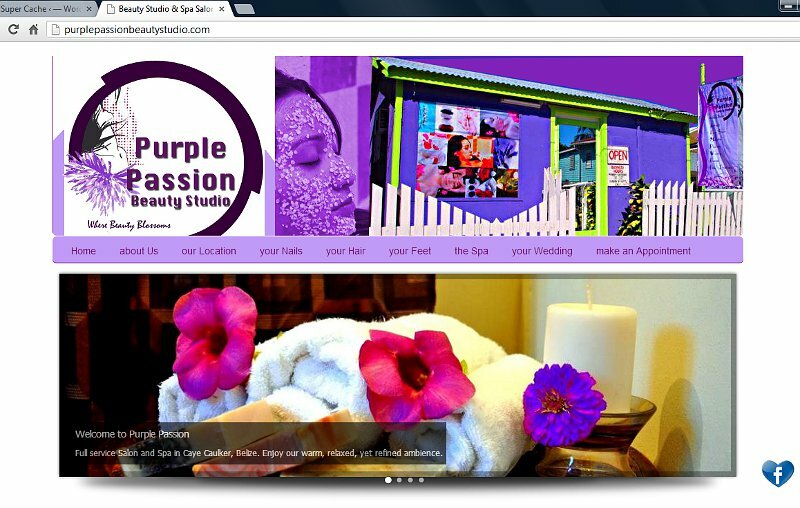 While living on this tiny but thriving little island in the Caribbean I just happened to mention to the girl doing my nails that I had a web design company… guess what they needed? So much to do at ‘the Lakes’! 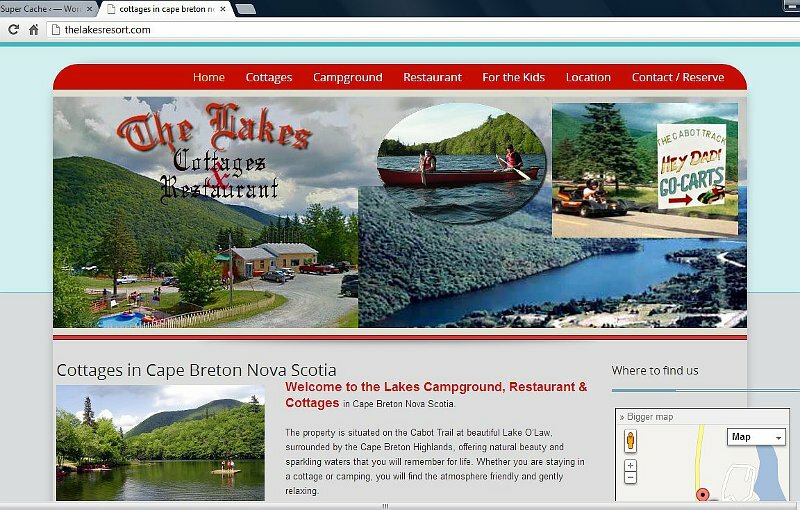 And what a setting!It was important to appeal to kids… but also to their moms and dads. We needed to show the idyllic location as well as the variety of fun activities to be had by the whole family. “When you’ve got it – flaunt it” they say. 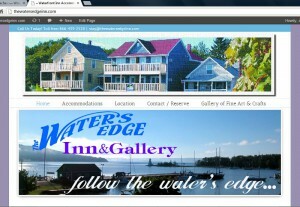 The Water’s Edge definitely ‘has it’ – ‘The water’s edge’ of the beautiful Bras d’Or Lakes. That amazing setting, coupled with the three cheerily painted faces of the historic buildings that make up this unique property were a fantastic stimulous for the redesign of their website. 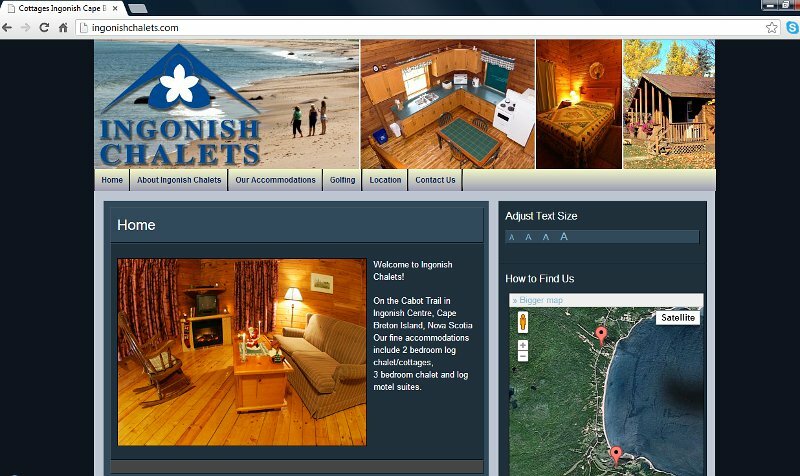 Ingonish Chalets have been with us since the early days – 1995!The website originally created for them back then was sorely in need of upgrading in order to bring it up to today’s web technology standards. 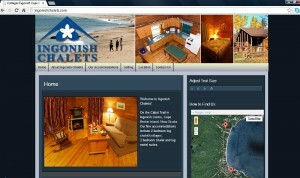 We went to work, list in hand, checking off each of the criteria as it was met. 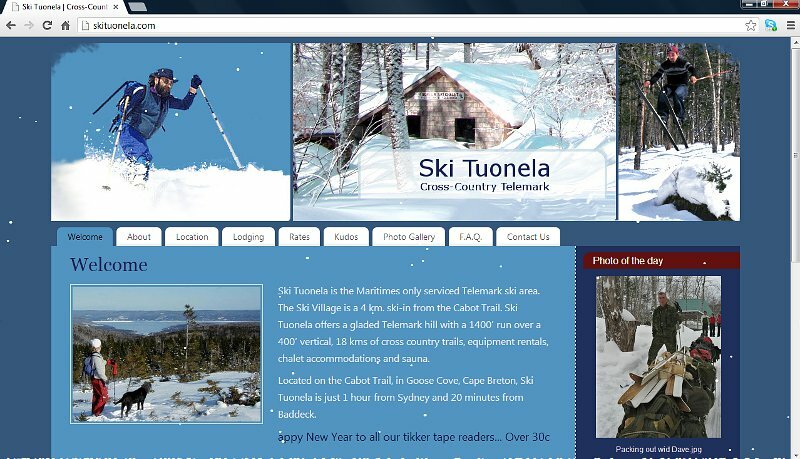 Let it snow, let it snow, let it snow!“Happened to check out the website – WHOA! 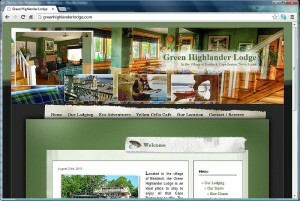 – very nice, very appealing”That’s what we like… happy customers and impressed visitors. Much of the credit for the esthetically pleasing look and feel of this website design has to go to the landscape artist herself, Lyn Duchesney. 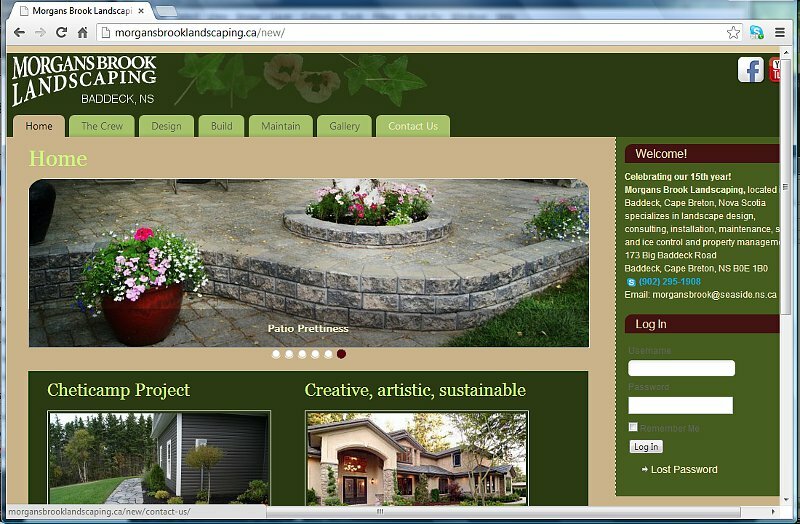 Her fantastic photos of the many great landscape projects that make up the layout for the website made it hard to go wrong!Check out the finished product and we’re sure you’ll agree! 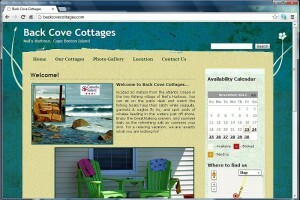 Kathy MacKinnon, Back Cove Cottages. This long-overdue updated design and colour scheme was developed with the desire in mind of invoking the charm of the tranquil setting of Brown’s Suites & Cottages along the meandering Margaree River as it journeys through golden pastures and green rolling hills.An nice clean, easy-to-navigate layout, photo gallery, handy contact form and a Google locator map make this a huge step up from the retired website. 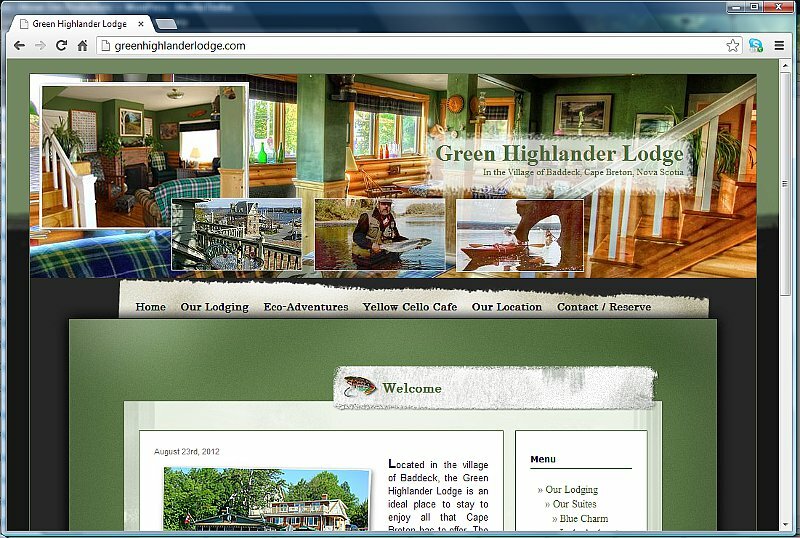 The warm and welcoming hues of hunter green and pine log siding in the Green Highlander Lodge lobby translated nicely to the website design to ensure visitors to the site would sense the ‘cozy lodge’ feeling they will experience when they visit the real thing in person. 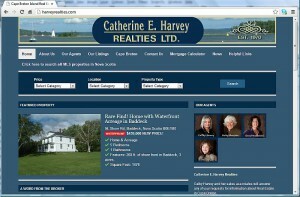 Broker, Cathy Harvey and her team needed both functionality and fashion when it came time to upgrade their popular but outdated real estate website. 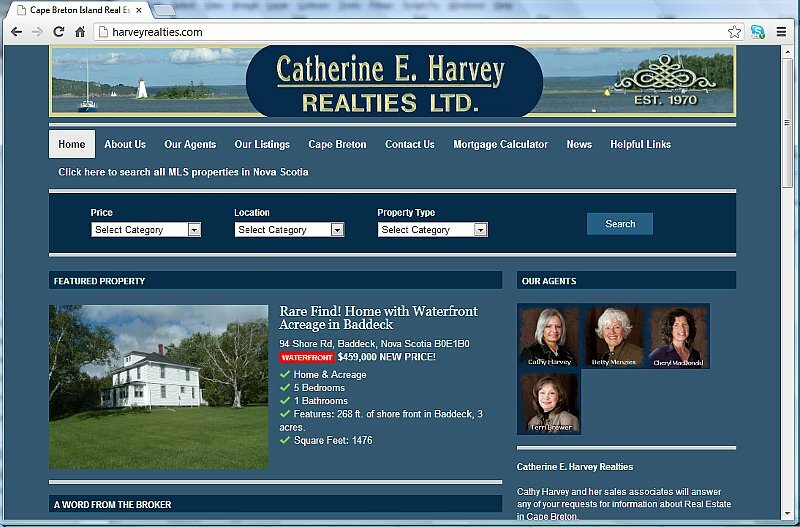 Visitors can now search by Price, Location and Property Type (or all three). 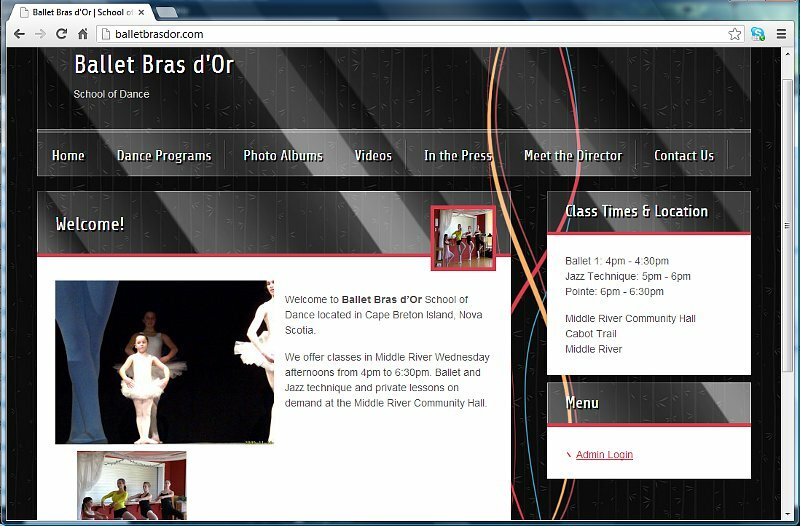 The back-end CMS system was a breeze to master for each team member and pictures are now displayed in a larger, cooler format. A Google map is automatically generated when the team member enters the address when creating each listing. 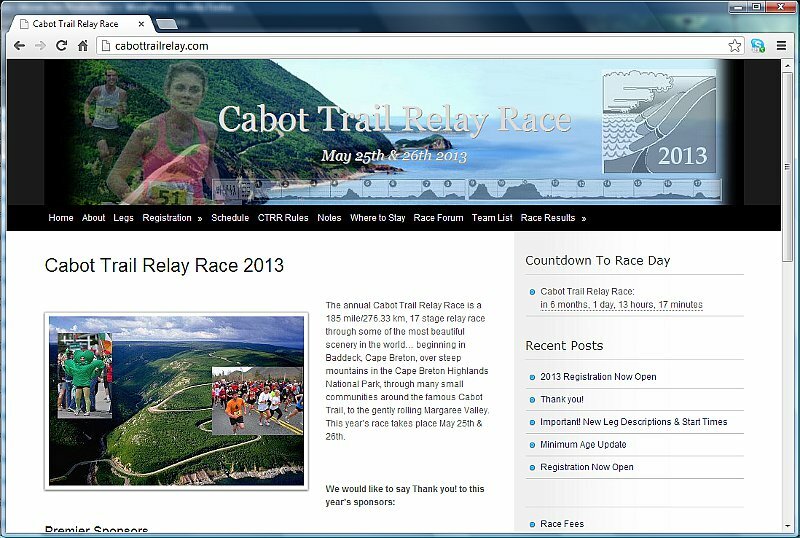 The Cabot Trail Relay Race needed a website that allowed for updates to team lists, etc. 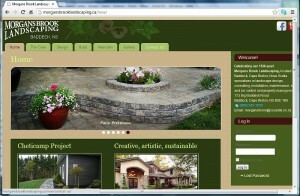 to be easily done, not to mention the old site had been around for over a decade and drastically needed refreshing! 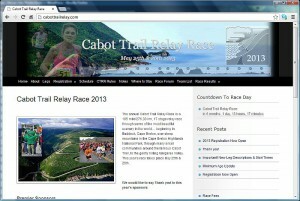 The old forum was constantly under attack by spammers, so that was a priority concern for the new website which now boasts a spam-free place where teams and runners can communicate freely. 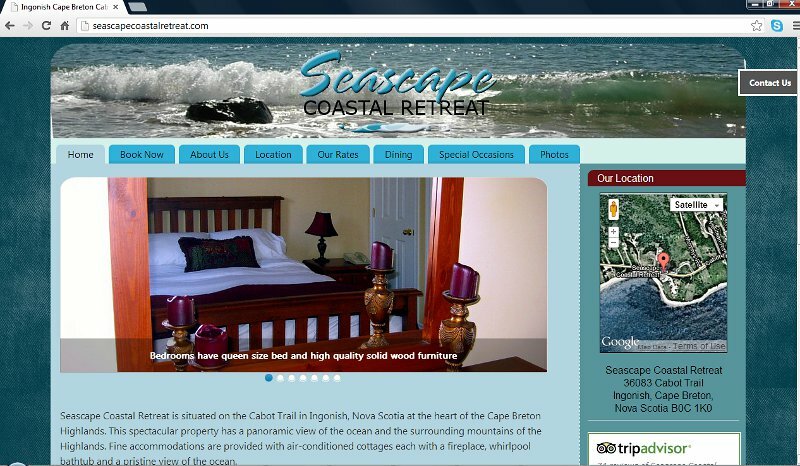 Julie Sitler, Seascape Coastal Retreat.